The event will be held on Saturday, June 8, 2019, rain or shine! 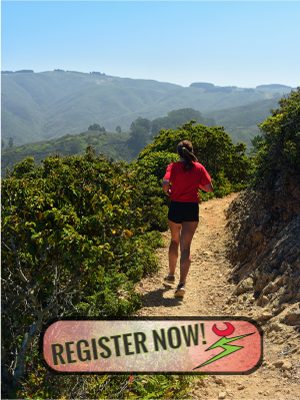 If you’re 18 or over and you register online for any of the events (30k, Half-Marathon, 11k or 4k Trail Runs), you must check “I agree” to the “Accident Waiver & Release of Liability (AWRL) on the online registration form in order to participate. All participants under 18 who register for one of the events must have a completed and signed Accident Waiver & Release of Liability form in order to check-in. All forms presented by minors at check-in must be signed by a parent or legal guardian. By signing the form, your parent or guardian certifies that you have sufficient training and experience to participate in the event you are registering for. 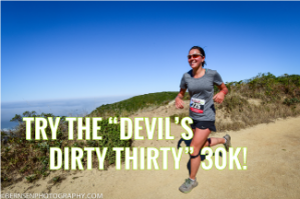 The Devil’s Slide Run is a smoke-free event. No smoking is allowed on the courses, aid stations or at the Community Center. 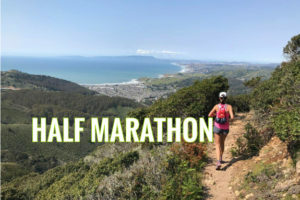 You are expected to discard all trash, recyclables and compost in the designated bins at the event and aid stations, or in public trash receptacles along the route. SORRY, NO REFUNDS. You are generously supporting Parca services and programs with your donation. Trail Runners must stay on the designated trails and within the approved boundaries. Multi-use trail policy: All trails are open for public use during the event, and some of the trails are also open for mountain bikes and equestrians. 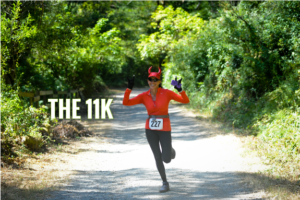 We ask that you please exercise extreme courtesy and caution when encountering others (including your fellow runners and hikers) along the route. Headphones: The use of headphones during the event is strongly discouraged due to safety concerns. Carry water: Even though aid is provided, we ask participants to carry a bottle or hydration pack between aid stations, especially on the longer routes. Bathrooms: There are bathrooms with running water at the start/finish area, but there are no bathrooms along the courses. Dogs: Due to park regulations, there are no dogs allowed on the trail run events. There will be course marshals stationed along the course to guide you. We ask that you follow their instructions. There is reliable cell phone coverage along most of the course, but in case of an emergency, you should use the special call-in number listed on the course map provided at check-in. In the event of a serious medical emergency, you need to call 911 first.